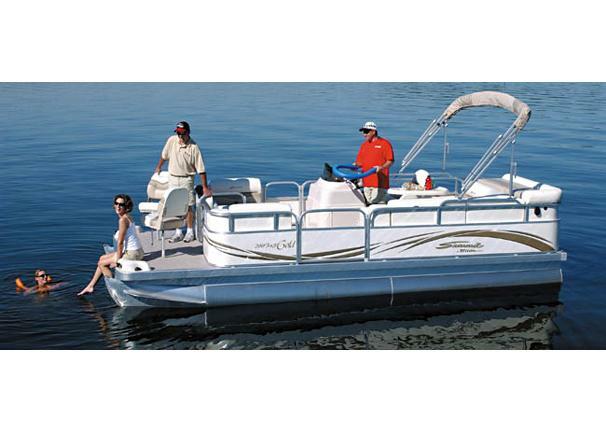 Boat Description The Triton Summit Pontoon 200 FS Gold is 20 feet in length, so theres plenty of room inside, and it can be easily trailered to wherever the big ones are biting. It comes with two ultra-comfortable pedestal fishing chairs. And while youre busy catching dinner, the non-fishermen in your family can relax on our luxurious lounge seats.